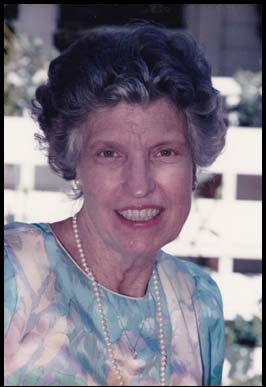 Alice Katherine “Kitty” Hardin Hogan died peacefully on October 5, 2016 in Chapel Hill, NC at the age of 91 following a brief illness. She was born in Birmingham, Alabama on December 10, 1924 to Ben F. Hardin and Nelle Frances Lindsay Hardin. She attended Stratford College and graduated from the University of Alabama. Kitty lived in Birmingham, Alabama until moving to North Carolina in 2009 to be near her children. Kitty enjoyed the simple things in life, especially gardening and spending quiet time at home with her adoring dogs, each very special one helping to sustain her through the years. She was proud to have been a founding member of the Unitarian Universalist Church of Birmingham in the mid-1950s. Kitty is survived by her children Robert Steadham Hogan, Jr. (Martha Diefendorf) of Chapel Hill, NC; Nelle Hogan Peck (John) of Grand Rapids, MI; Richard Hardin Hogan (Liz) of Wytheville, VA, and James Baker Hogan (Vicki Flaherty) of Coralville, IA; and her grandchildren Katharine McGinigle (Peter Leese) of Chapel Hill, NC; Steven McGinigle of Nashville, TN; Lindsay Gaughran (Joe) of Raleigh, NC; Anderson Peck (Stacy) of Grand Rapids, MI; Mary Ellen Peck (Josh Crigier) of Grand Rapids, MI; Lawton Benjamin Hogan (Seji) of Seoul, South Korea; Macon Hogan of Johnson City, TN, and Douglas Hogan (Alicia) of Blacksburg, VA. Other survivors include five great grandchildren. Her husband, Robert Steadham Hogan, Sr., M.D., sister, Frances Hardin and brother, Richard James Hardin preceded her in death. In lieu of flowers, the family suggests supporting Best Friends Animal Society (http://bestfriends.org/). Condolences may be sent to Robert S. Hogan, Jr. at 101 Newell Street, Chapel Hill, NC 27516.